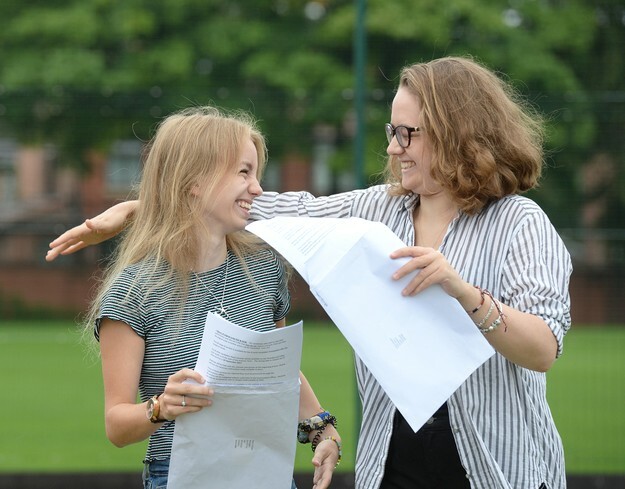 The reformed GCSEs have seen Year 11s at Withington Girls’ School achieve 46.3% of results at the elite Grade 9 and 11 pupils attain an exceptional clean sweep of at least eight Grade 9s; eight also with the very top A* Distinction in Further Mathematics. Three pupils achieved 10 Grade 9s plus A* Distinctions in Further Maths. 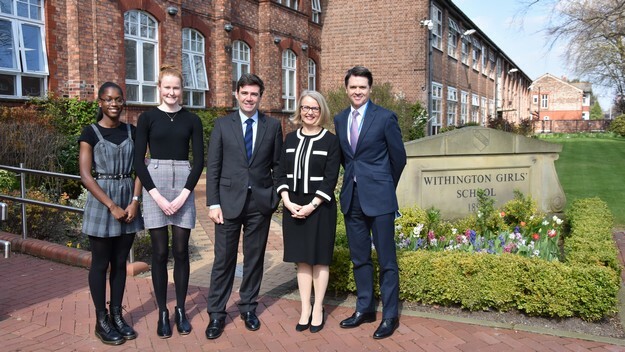 Withington Girls’ School, consistently one of the top performing schools in public exams in the North of England, is celebrating a set of exceptional A Level results by its Class of 2018, recording an all-time high of 43% of subject grades passed at A*. Withington pupils have achieved another outstanding set of examination results, securing the elite A* grade in 75% of GCSE papers taken this year, with an exceptional 96% attaining grades A* to A. The cohort of 83 Year 11 girls passed all GCSE and IGCSE papers taken. 68 girls earned 6 or more A* grades and 20 girls swept the board with straight A* grades in all their subjects. In many subjects, A* was the average grade achieved, including Greek (where A* made up 100% of entries), ICT (98%), Chemistry (96%), Physics (91%), Biology (89%), Further Mathematics (83%), Geography (86%), Mathematics (82%), Double Science (77%), Art (78%), Drama (75%) and Music (73%). In Further Mathematics, half of the 52 entries were awarded the even higher accolade of an A* grade “with Distinction”. Withington is celebrating yet another set of exceptional A Level results, with 82% of subjects passed at the top A* and A grades and 92% of all subjects passed at grades A*, A or B. From this year’s Upper Sixth cohort of 67 girls, an impressive 38% of all A levels taken were passed with the elite A* grade. 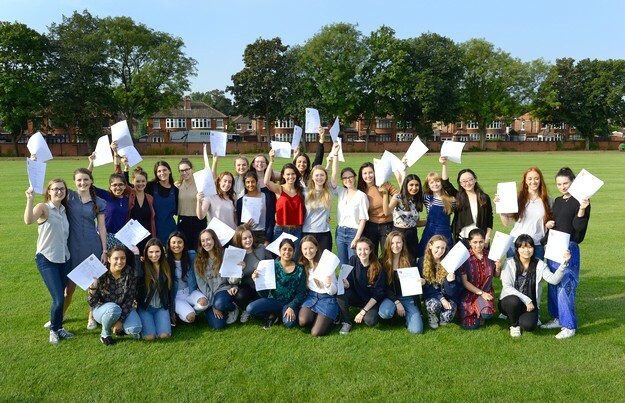 Nearly two-thirds of Withington’s Upper Sixth year group (43 girls) passed all their examinations with all A* or A grades. No fewer than fifteen students each gained 3 or more A* grades, with eight students achieving a clean sweep of A*s in all subjects taken. 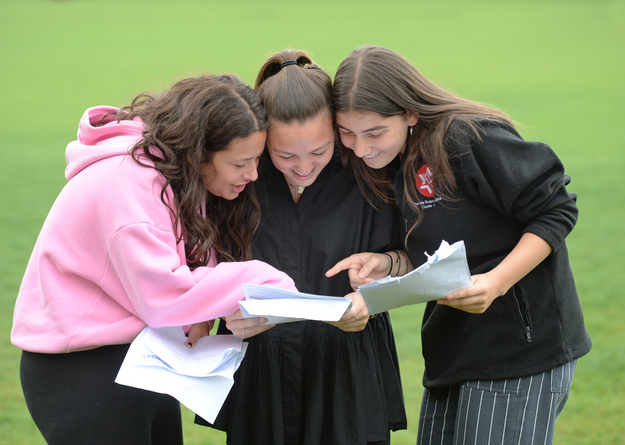 Withington Girls’ School’s Year 11 students are today (20/8/15) celebrating another exceptional set of examination results. Following hot on the heels of last week’s excellent A-Level results from the Withington Sixth Form, the 74 Upper Fifth students achieved the highest grade of A* in an astonishing 69% of all entries. 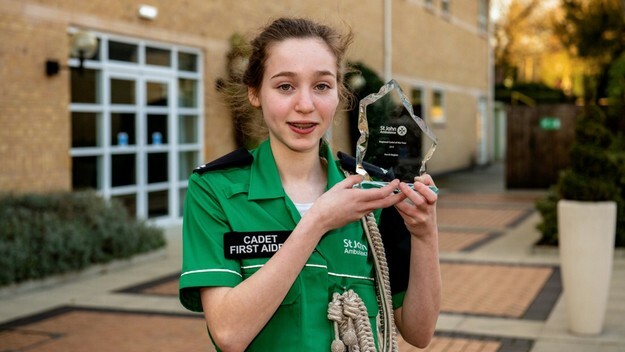 This is ten times higher than the national award of the A* grade to the top 6.6% of entries. 93% of all GCSE/IGCSE entries were graded A* or A, compared with a national figure of 21.2% of entries. Over half of the year group – 43 girls – passed every one of their GCSEs with either A* or A grades, and 47 girls earned 7 or more A* grades. 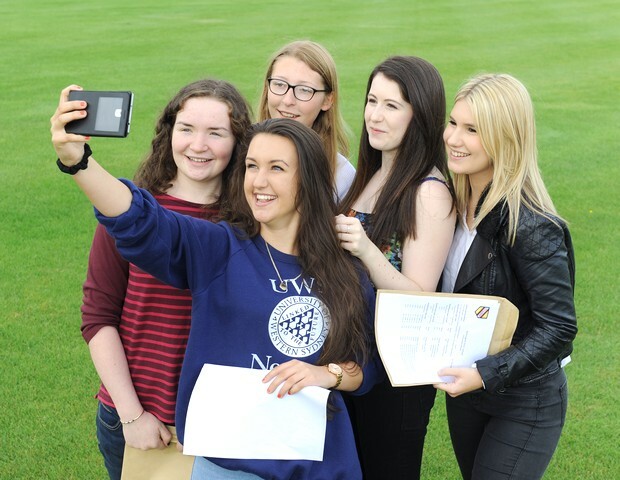 One in six girls swept the board with straight A* grades in all their subjects. 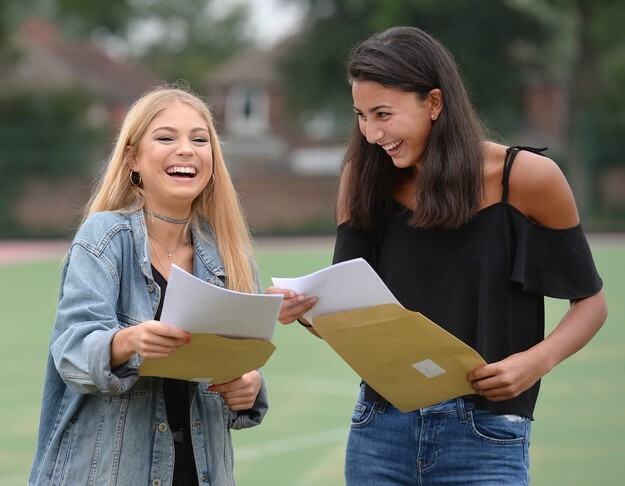 Withington Girls’ School is celebrating a set of outstanding A-Level results across the board, reinforcing the Independent Schools Inspectorate’s judgement that the girls, achievements are ‘exceptional’. All A-Level examinations were passed, with an impressive 39% of all subjects achieving the top A* grade. Over half the year group (43 girls) passed all their examinations with all A* or A grades, and 8 students gained 3 or more A* grades, with 5 achieving 4 A* grades and one 5 A* grades. 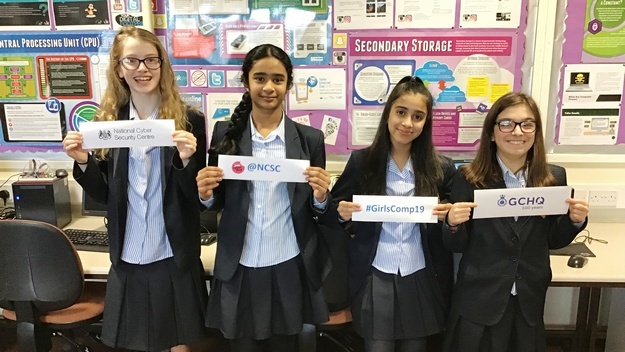 Contrary to the national trend this year of a decline in top grades in STEM subjects, Withington students enjoyed outstanding success in the core STEM subjects (including Mathematics, Further Mathematics, Biology, Chemistry and Physics) which have been identified by the Government as vital to the country’s future economy. See a summary of our leavers’ University destinations and degree courses over the past five years. 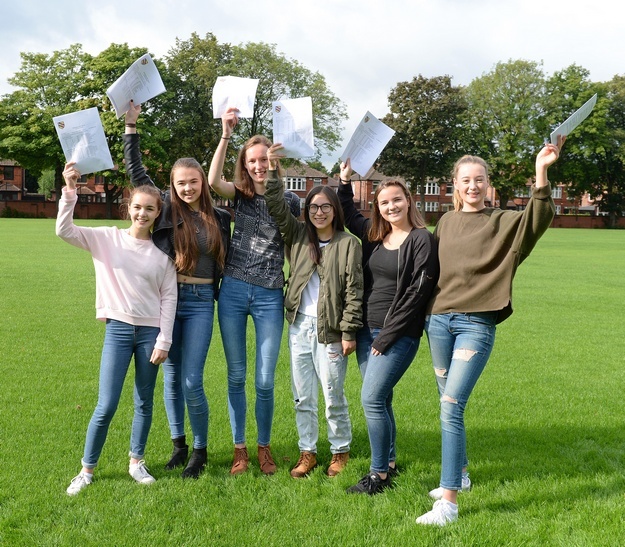 Withington Girls’ School’s 77 Year 11 girls collected their GCSE results this morning, to find that they had contributed to a tremendous year of achievement. Following on from last week’s outstanding A Level results, the GCSE results were excellent, with 69.2% of all entries achieving the highest grade of A* and over 93% of all entries graded A* or A. 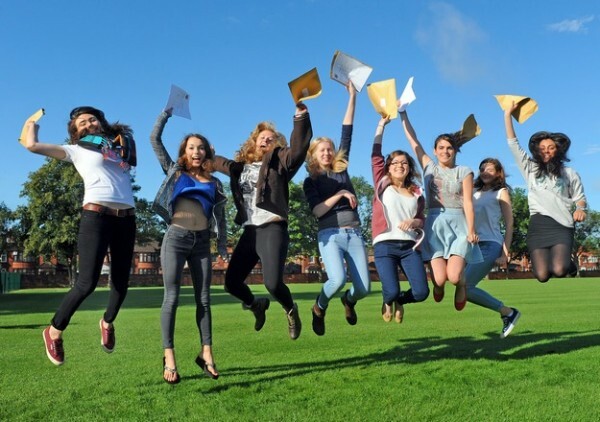 There was a 100% pass rate at grades A* to C.
No fewer than 55 girls passed all their GCSEs with either A* or A grades and fourteen swept the board with straight A* grades in all their subjects. For further details of GCSE results please click here. 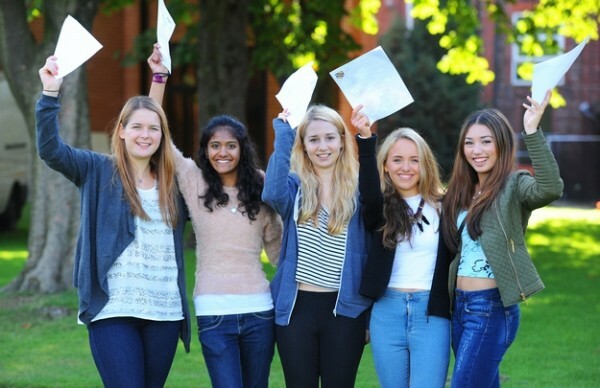 Withington is celebrating another set of outstanding A-level results across the board, reinforcing the Independent Schools Inspectorate’s 2013 judgement the girls’ achievements are ‘exceptional’. Notable this year has been the particular success in the core STEM subjects (including Mathematics, Further Mathematics, Biology, Chemistry and Physics) which have been identified by the Government as vital to the country’s future economy. 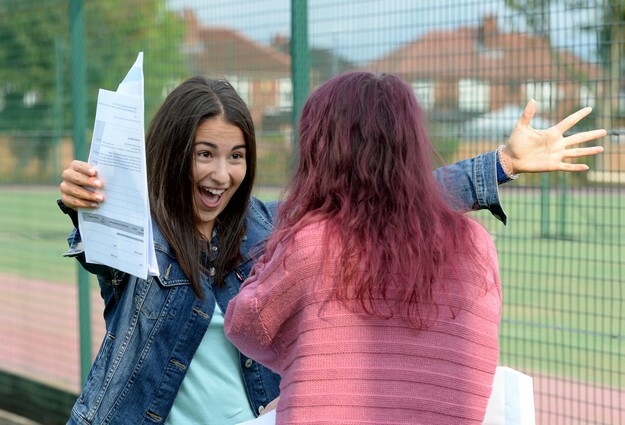 STEM subjects accounted for a half of all A levels entered this year at Withington and in these subjects, 36% of results were at A*, 83% at A* or A and 98% at A*, A or B.
Click here for a full breakdown of results. 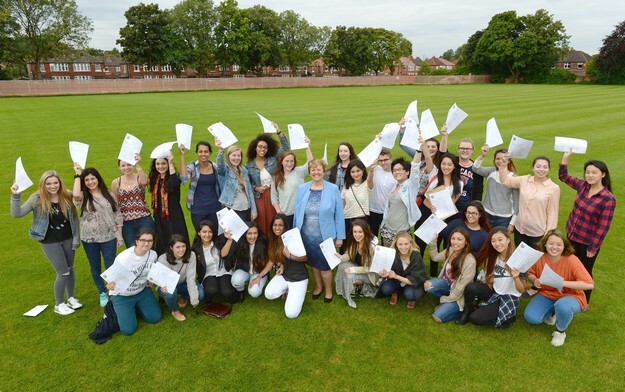 Withington Girls’ School celebrated a raft of exceptional GCSE and IGCSE results in 2013, with 74% of all entries achieving the elite A* grade, and 96% being awarded A* or A grades, defying the national downwards trend. The percentage of pupils achieving the top two grades is an increase of 5% over last year’s Withington results. Click here for a full breakdown of results. Withington is celebrating an outstanding pass rate in this year’s A Level results with a large increase over last year in the percentage of A*s achieved. From a cohort of 75 Sixth Formers, 94% achieved A*, A and B grades with 80.4% achieving A* or As and 37.6% securing A*s. The overall pass rate was 100%. Click here for a full breakdown of results.